Your Outcome: Learn how to use Monday Vision to identify 3 outcomes or 3 Wins for the week. By identifying your best 3 Wins for the week, you’ll be able to focus and prioritize throughout the week to achieve better results. 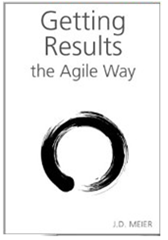 Welcome to Day 2 of 7 Days of Agile Results. Agile Results is the productivity system introduced in my best-selling time management book, Getting Results the Agile Way. Today’s focus is on identifying your 3 outcomes for the week. Monday is your chance to create a compelling vision for your week. It’s flexible, but I’m going to walk you through a specific approach, so that you know how to start. When you first start, it might take you a little longer, but with practice, it really is just a 10 minute exercise, if that. You’re going to spend a week of your time. Slow down to speed up. Yeah, it really works. This is a quick and simple way to get more value out of the time you already spend, and you can save a lot of time each day and each week by focusing on the key things that matter the most. If you can shave off things that matter less, to focus on things that matter more, you win the game. There will always be more to do than you can effectively do, so this is a way to set a healthy bar for results. The summary of what you’re going to do today is to write out a quick list of the things on your plate for this week, and then identify the 3 most important outcomes for the week. Next, you’ll list out your tasks for today, and then identify your 3 most important outcomes for today. Write down a quick list of things you want to accomplish this week. If you need to, scan your calendar for the week to remind yourself of some of the big activities you have, key meetings, and any significant events. – Create a draft of the slides for the Devices and Services story. – Map out the big rocks for work for Q3 and Q4. – Review the scenarios, architecture, and value story for Enterprise Identity story. – Create a simple plan for integrating sales collateral with delivery assets. – Schedule a working session to figure out the Modern App Transformation approach. – Meet with Steve to collaborate on how to integrate our methods, models, and approach for helping Enterprise customers with Devices and Services. – Meet with field leads to get detailed feedback on the information product model and any adoption blockers or issues. – Team meeting with field to walkthrough new releases and latest evolution of the framework. There’s more I could add, but for now, let’s use above as a sample working set. And, obviously there are a bunch of sub-activities and tasks to actually complete each item above. The idea is to quickly generate a simple list of things you’ll be working on this week. By having this list at your fingertips, you’ll have a pretty good idea of what this week is about, and where you need to spend most of your time and energy. Now, at the top of your list, write down 3 things that you really want to accomplish for this week. These will be the goals that remind you what’s important throughout the week. Devices + Services slides are ready to go. The Enterprise Identity story is ready to ship. I still have a long list of things to do (it’s longer than I’m showing here), but I have listed my 3 most important outcomes at the top. Those are my tests for success. If I can accomplish those, then I should feel good about my progress and achievements. The assumption here is that I did a good job of picking the 3 outcomes that deliver the most value, and that I have the ability to execute. If I didn’t, I will learn and adapt during the week, and especially when I get to Friday Reflection this Friday. Chances are you have more to do than you have time to do, so this is really an exercise in prioritization. But it’s also an exercise in simplification. You could easily generate a laundry list of everything on your plate, but that’s not the idea. The goal is to get clear on 3 things that you can achieve this week, that would make your best impact and help you focus and prioritize throughout the week. It’s about getting pragmatic about what you can actually achieve this week, and what actually matters. There’s no point in focusing on a bunch of things you won’t do. Since this is Monday, not only do I want to identify my 3 Wins for the week, I also want to identify my 3 Wins or 3 Outcomes for today. They may or may not directly support my 3 Wins for the week, but they at least help me achieve what I need to accomplish today. Keep in mind, that since I now know my 3 most important outcomes for the week, I can choose better outcomes today to support my week. Awareness actually helps us avoid letting the week fly by and then wondering where it went and why we didn’t achieve the things that matter. Similar to the week, I’ll list out my activities for today, but it’s a much faster process, since I can glance at my calendar for the day, and I already have several things that are top of mind for today. But, the key step here is to identify my 3 Wins for today. Dry run of the Devices and Services training deck. Actionable feedback and next steps based on a walkthrough of all the Enterprise Identity assets. A test case to use for the Modern App Transformation story to test initial thinking. Each of those outcomes is a valuable results and paves the way for other work that will help me have a high-impact week. Do I have many, many other things to also accomplish? You bet. But if I achieve those 3 goals, then I will have accomplished my most important results. It’s also worth pointing out that each of those goals has a lot of steps and sub-steps and activities within them. The point is that I’m not tracking tasks. I’m focusing on outcomes. and I let my brain do what it does best, which is figure out the right tasks as I go, as I’m working towards each outcome. But the most important things to keep front and center, are the outcomes to work towards. Otherwise, it’s easy to get lost among a sea of activities, and a jungle of tasks, and lose sight of the priorities and outcomes that matter. Side note: I do keep a list of the tasks I’m working on, but I focus on the outcomes. A simple thing to keep in mind is write your To Do list for today, and then add your 3 Wins or 3 Outcomes to the top. We listed out our work for the week, and then wrote down our 3 outcomes that we want to achieve for the week. This is Monday Vision. We listed out our work for the day, and then wrote down our 3 outcomes for today. This is Daily Wins. We produced a simple list of 3 Wins for this week and 3 Wins for today that we will try to achieve. This helps us start Monday off with a clear vision of impact for the week, and for today, in a very simple way. One thing to keep in mind is that it’s not that you are limiting yourself to “3 things.” It’s achieving 3 Wins. You are focusing on achieving 3 significant outcomes that matter each day, and each week. 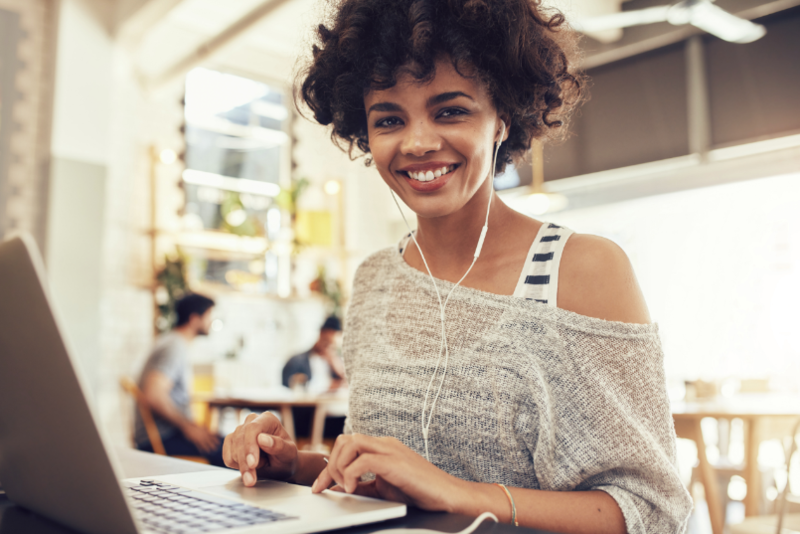 Think of it as a way of turning a chaos of activity into simple goals that are easy to remember and pull everything together into something that matters. Review your 3 Wins for this week. Are they simple and sticky to say out loud? Do they really represent value? If this week were over, are those really the 3 things that you would regret if you didn’t accomplish them? Review your 3 Wins for today. If you accomplished those by the end of today, would you feel like you had a successful day? If not, then go back to the drawing board and identify 3 outcomes that you can both realistically achieve and that you will feel good about. It’s important to remind yourself that you can’t do everything, and that you especially can’t do everything all at once. So, the best you can do is spend the right time, on the right things, with the right energy, the right way. If you keep this little formula in mind, and apply it when you choose your 3 outcomes to focus on for today, you will be ahead of the game. Congrats for completing day 2 of 7 Days of Agile Results. And note, if you’ve successfully identified 3 compelling Wins for today and 3 compelling Wins for the week, you are ahead of 99% of the population who has not and will not take the time to actually do this. You’ve made your day more meaningful, your week more meaningful, and you’ve created a way to better prioritize and focus throughout the week. You have set a powerful stage for your success throughout the week.